Will the GeForce gtx 1050 ti be enough? I'm planning on building a new computer I can use for gaming as well. I might switch Mainboard around for one that supports overclocking and get an Intel i7 7700k 4,2ghz, but that depends on the budget. But will a GeForce gtx 1050ti be enough? 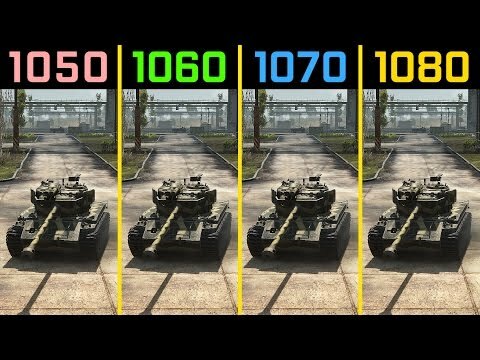 So, how does your 1050ti runs the game? I have a 1050ti and a I7 7700 3,6GHz... I run the game with everything on max except shadows and reflections (Which are both turned off)... I get an avarage 50fps in area with lots of people with the only exception being if I'm on a 3-way on SMC with 3 blobs or world bosses, where my FPS drops to 30ish or lower. Pretty sure I could lower some of the video specs and get a better fps, but I don't feel the necessity as I'm usually above 60fps when there aren't many players around (And I'm usually not in mobs of players). Im using a 750 ti. same frame rate. 1050 is fine.. overkill really but a nice card..
RAM speed is very important for GW2 (can be +20% FPS compared to average RAM), so dont buy the cheapest. But you have to look at which RAM speed your mainboard supports. FPS stays over 60 in group events too. OP asked if the 1050ti was enough, not what rigs random users have and their anecdotal fps. 1050Ti is enough for low-medium setting for sure and maybe even high, but is it worth it? Prices are all over the place but a quick look at newegg yields the 1060 3gb for like $50 more. Thats ~+50% or more performance over the 1050ti 4gb. 3gb or 4gb is pretty irrelevant at that range. If one want something good and somewhat more future proof one need to go up to 1070 min. But then prices skyrocket. Miner's is just an easier target to understand to gamers since they're buying up graphics cards and not necessarily memory (which is expensive as suggested above in case people forget) or SSD's (ex. samsung 850 pros haven't really dipped too much even after 960s have launched). RISE guild best guild super RPers trash blob guild [RISE] always dies on inc masters of the Die On Inc technique where Prince Jarvan just died. Holy Warriors of [Kazo] following Kazo doctrine guided by, Our Lord and Commander, Zudo in the holy Trinity of Him and his two firm glutes. TLDR: I wouldn't buy a brand new card 1060+ until 2020. 1050ti is fine for GW2 where CPU is more important anyway. Also why is this a quote and not an edit? A 1050Ti will be more than fine for 1080p or less as far as gw2 is concerned. Scource: My mother runs a 1050ti and can run gw2 on max settings at 60hz. Besides with the current market prices a 1050Ti is literally the best performace per dollar card. If one want something good and somewhat more future proof one need to go up to 1070 min. Recommending a 1070 for "future proofing" is bad advice. GPU choice is going to primarily dictated by the monitor resolution and refresh rate. A 1060 6gb (note 1060 3gb have a throttled chipset) will render literally anything at 1080p 60hz with no difficulties. The only reason you could ever justify a 1070 is if you have either 144hz monitor or 2k monitor. Also going expensive is terrible advice for future proofing. Even if a card has excessive amounts of raw power, it'll still age just as fast as weaker cards since game engines are typically only optimized around the latest architecture. It's almost always better to buy midrange and upgrade more often. tbh, I'd recommend a 7700k even if you aren't going to overclock, the 7700k is not much more expensive over 7700 and the 7700k has a significantly higher base clockspeed (4.2ghz) and a lot of programs gw2 included love clockspeed. Do note that 7700k run warm, so you'd want a decent cooler. My recommendation would be a Cyrorig H7, or for overlocking headroom a Scythe Mugen. I'm sorry but that's just hyperbole. A 1080 with a 8700k will absolutely run this game flawlessly even at 2k+ resolution. Heck I get 90 fps with a 7700k + 1060 6gb at 1080p resolution. As much as people like to moan about this game not being multithreaded, we are reaching the point where the sheer power of modern rigs are making the lack of multithreaded optimization irrelevant. 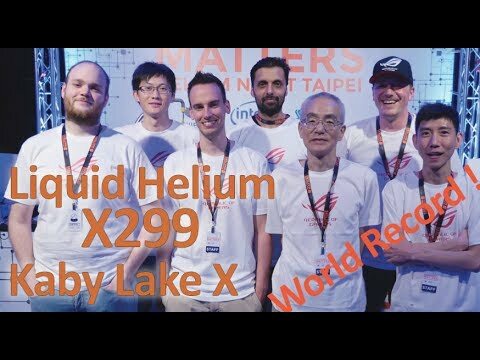 FYI liquid helium is not used in computers, unless you mean LN2 which is only used for overclocking world records and never in practical applications. (proof: https://imgur.com/a/7Rpes) I have a [email protected] 2GHz, [email protected] and 16 GB DDR4 RAM overclocked to 4266 CL 17-17-17-28 (and about every other subtiming changed too). You will definitely drop below 60, in extreme cases below 30 FPS (Karka Queen, mass of players + poorly optimized map). I even have Spectre/Meltdown fixes deactivated and no anti virus or any other junk background program that could steal CPU cycles. Sure the game plays fine, but it is impossible to have constant 60 FPS with current tech, especially if you set all the settings to the maximum. And yes liquid Helium is definitely used for overclocking, just rarely because it is a lot more expensive than nitrogen. Depending where you buy the liquid helium it can cost 50x the price of liquid nitrogen and it evaporates faster than nitrogen because lower heat capacity, so you need more of it. I couldn,t find a guild wars comparison. There are few more games he tests. 144hz monitors and 2k are incredibly common, to the point of being budget gaming today (it's not premium until you go VA/IPS at the same res and hz). When I say future proofing, this is mostly about memory amount. When the graphics card hits it's limits it's gonna choke and often it choke hard, depending on the game. 3gb isnt really enough today. Neither is 4gb. Is it terrible? No. But either way you want 8gb or more on your card. Which lo and behold... is 1070 or higher. That's what I mean. Regardless, buying a graphics today is terrible unless you are forced to (like, your computer exploded and you have no other). I am really hoping Nvidia launch a new generation within the next couple of months - even if its just an intermediary die-shrink or optimisation of the GTX10xx series. The market is a mess. All signs point to dissappointment. If you're going to be mostly gaming on it I would suggest getting an 8600k over a 7700 or even a 7700k. The 8600k is equal to and sometimes better than a 7700k while being a lower price, it's lower in price than even a 7700, cheapest motherboard+8600k is about 50$ cheaper than a 7700+motherboard, and the difference will be greater if you decide on a 7700k+motherboard that supports overclocking. The money saved there can be used to upgrade your RAM from 8gb to 16gb or to go towards a GTX1060 6GB. 144hz monitors and 2k are incredibly common, to the point of being budget gaming today (it's not premium until you go VA/IPS at the same res and hz). 144hz and 2k are neither common nor budget. Stop confusing enthusiast fads with what the larger market. You can get 60hz IPS panels for far cheaper than you can get either 144hz or 2k. 60hz 1080p is the standard. Unless the OP specifically wants a 2k or 144hz monitor there is absolutely no call to be recommending graphics hardware for such monitors. When I say future proofing, this is mostly about memory amount. When the graphics card hits it's limits it's gonna choke and often it choke hard, depending on the game. 3gb isnt really enough today. Neither is 4gb. Is it terrible? No. But either way you want 8gb or more on your card. Which lo and behold... is 1070 or higher. That's what I mean. A 4gb vram 1050TI has more than sufficient vram for the next several years. There are only a couple titles on the market right now that even have the potential to max out a 4gb card. Besides every game has on the market has a separate texture slider specifically so that users can tune their settings to match their vram. eh 1050ti isn't unreasonably inflated. It's when you jump to 1060 that the price inflation goes bonkers. Although I feel for AMD fans cause AMD card prices are insane at every level. Even the 550 cards are inflated. Coffee Lake builds are not cheaper in anyway. 8700k is generally 20-40 USD more than a 7700k, and z370 mobos are also typically 20-30 USD more than their kaby lake counterparts. It's also much easier to find sales for kaby lake CPUs and mobos. Moreover coffee lake CPUs are only better for gaming titles that are optimized for multicore, and there just are not many titles out there that do that. GW2 absolutely will prefer a 7700k over a 8700k. Oh and you will need to spend more on cooling hardware if you go for Coffee Lake thanks to Intel cramming 6 cores in a tiny 1151 socket. I decided on a 1060 instead and I run it with gsync and 75fps constantly. I also have a 8600k I overclocked to 4,6ghz on all cores instead of an 7700k. In big events/loads of players it goes down sometimes, but I've never seen the FPS being lower than 25. I have all settings maxed, character model and limit high and I run reshade as well. i run on an intel integrated graphics. seems ok. 40 fps roaming on wvw, 20fps on WvW zergs or on PvE massive events, lesser on major towns/pvp waiting area. on AutoDetect. i have good nvidia card installed tho. i just use it when i feel like using it. but i almost never use it. ill be using it probably when i get the proper monitor. but a GPU is still better. All I'm saying @ integrated graphics, the game is still playable. He is saying that the quality of the GPU does not matter as much since the main bottleneck for this game is and will be the CPU. when i play on my GPU, there is a massive difference. i get 90 fps on wvw roaming and as i've said, 40 fps wvw roaming on integrated graphics. so what i say still stands. a stand alone GPU is still better than integrated graphics. but that does not mean that integrated graphics is bad. it can still run a playable GW2. Depends if you're hungry for more FPS or you just play because you're lazy plugging a wire. Integrated graphics card means the CPU takes over duties of the otherwise outsourced GPU. Obviously throttling your CPU will have a tremendous performance effect on a game which is very CPU heavy. That does not change the fact that GW2 is very CPU heavy versus GPU heavy. A less powerful GPU will not have that big an effect. k. i dare you to remove all of your graphics cards (standalone and integrated) and run GW2 and let's see if GW2 runs. The GPU is not of major significance. The GPU is not required. not a major significance = can be thrown away. so yeah, what's the purpose of a standalone GPU? Add 2 FPS? Gw2 is more CPU intense than GPU intense. the purpose of a standalone GPU was never called into question. The necessity for how powerful this GPU needs to be specifically for GW2 was. Those are two very different things. I'm sorry if you can not see this. I played this game on a 580, I am sure a 1050ti will play it. Also your CPU is more than enough and this game is CPU dependant. Mess with the character limit settings and you will run the game just fine. I have 2700x/1080ti and I also mess with the character settings because even with an OC'd CPU and high end GPU, this game runs like poopoo when there are 20+ people on screen. Even the dude up above with the OC'd 8700K will tell you the same, and he has better single core speeds than me. I would say however for general gaming. Not knowing your budget, if you are on a tight one, maybe look about to see if there are any 970 or 980's laying around if you can't stretch to a 1070, as a good 970 or 980 is in some cases better than a 1050 or even 1060 with the 980. I just changed up from a 970 and honestly my new rigs overkill for GW2 and a 970 still runs any game out there mid to high settings depending on frame rate taste, if I only played this game I wouldn't of moved up at all. But if you can stretch to a 1060 or 1070 go for it. Alternatively look at the RX 580 or Vega 56, competitive with the mid nvidia cards and well priced. Pretty much. I moved from a 1060->2080 and there is little difference. GW2 runs "ok" on low end and "slightly better than ok" on high end. I already knew that before though, didnt exactly buy it for GW2. That said I disagree with the last point as of these last weeks. Right now the Vega 56 is a really meh buy because a decent AIB dual fan board will cost more than a good 1070Ti. If GW2 is pretty much the only game played and others have no priority... wait until next year. If Navi is as cheap as they say it is, it will be priced like a 1060 with performance exceeding the 1080. If it's that cheap, which I personally question as it makes zero financial sense (they could price it $100 higher and still completely knock out Nvidia in price/performance while making a bucketload more in the margins). But still, unless you're looking at a high end RTX just because they are new (which people on a budget wont) then buying a card at all today is poor timing. Old cards arent getting any cheaper either without competition. Helpdesking rodent hailing from Skrittsylvania. Roaming skritt needs caffeine badly. Oldschool electronic music enthusiast who also likes Autechre. your claims, that GW2 is CPU centric, can be explained that probably A.NET foresaw the rise of Twitch.tv and streaming. That the "bottlenecks" of the GPU is really used for "Graphical Game Capture" and "Graphical Broadcasting" on the net, which is GPU intensive. But yea, still. Intel integrated Graphics = 40 fps (clean). My Nvidia Card = 90+ fps (clean). on the same map. That... is just word sallad. Simply put, GW2 is heavily singlethreaded, while the graphics doesnt really demand that much today. The base engine dates all the way back to around 2002-ish I guess (GW1 released 2005). I think its a fantastic engine thats kept up well as it was modified for GW2, but it still suffers in this area. In comparison its interesting to see the gains in WoW with its DX12 multithread patch. I did not expect that (DX12 is usually a performance loss due to meh implementations). WoW gains heavily from DX12 because WoW's CPU load is almost entirely from draw calls which are performed by the graphics API. Older graphics APIs run all of their draw calls in a single thread, DX12 natively multithreads draw calls. GW2 would also see benefit, as draw calls are what are causing the bottleneck here as well.